You will need that confidence and courage in yourself that you will be able to do it better in the future. For that it would be necessary for you to get that confidence and all energy focused on your work. You will have immense amount of negative energy floating which will want you to pull you down and tell you that you are not doing well. Thus, at such times meditation can help you big time in coming out of that dread weariness. It can help you to channelize all your energy on that particular motive of yours and will make you more energetic day after day to know more about this. Thus, meditation helps big time in feeling positive. You should organize your day-to day schedule with a perfectly made routine. You should be able to make a good routine yourself, following which you will be able to carve a nice for yourself. When you are designing a routine, you will know that it becomes essential to keep a 9-5 record for yourself. At such times, you cannot be all weary or tell yourself it is not the right thing. Keeping a routine channelizes your energy on a particular thing. It organizes your day and at the end you will not feel that you have wasted your time. It will keep your perfect routine very well channelized and you will not have to suffer. It will keep your entire day organized and very well regulated. Thus, positive energy will automatically flow in. It is easy to give up when you find no luck but remember along with you there are many others who are also looking for a job. Thus, if possible try and be with it on a 9-5 basis. Waking up early, giving yourself a lunch break and also trying to end your job searches before dinner will help you act faster on this process. At the same time try giving time to your friends and family also. Remember, that your goals and expectations about your job must be clear. You in no way must hesitate to know what are exactly the things in which you are looking out for. This will refine your search and keep you happy. Try and become a part of a good organisation that helps in the process of job search. There are many who do so. Becoming a part of an organisation of job seekers will provide you with the support you are looking out for. Such a job club can help you find the right job for yourself and also provide you with some job search tips. It will help you channelize your job searching skills; make you aware of certain networking sites, college or career centres or any other place. It will keep you aware and working and this allow you to mediate your thoughts on good things. Try and keep reasonable and concrete goals for yourself. These are the goals which you know for sure you are going to be able to achieve. However, try and keep some reasonable goals only. For example you can tell yourself that this week at least clearing through ten companies is necessary. One or two job interviews are a must this week. Also, you can make like five cover letters this week and just be happy about it. Try hitting some job fairs. 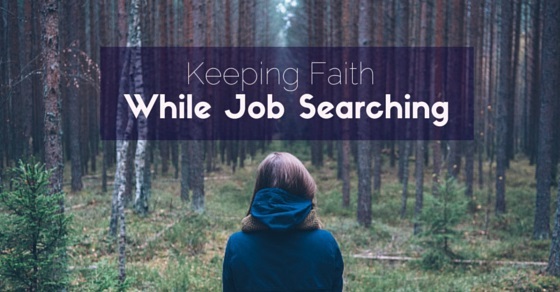 Thus do all these things in your job search period; it will keep you focused and happy and make your wait period before you get a job shorter. Keep focusing on how big loser you are but at the same time what you need is channelizing positive energy. Focus on things like your smallest wins. Try and get a beer for yourself only because you were able to convince three employers today about your talents and skills. Be proud of yourself because you could get a phone interview or even a one-person interview. Feel good of the fact that one of your LinkedIn connection answered or may be somebody commented on your job post. Celebrating such small wins can help you to be so happy about it. If you are in that period when you are continuously applying for a job, or an interview for a position, it is easy to become fixed on just looking continuously for a reply from your interviewer. It is a must that you must keep track but do not just stick to it. Move on in life… However, if you are unable to hear any response from your employer, just try looking out for something else. Simply just cross that position off your list and focus on the next big opportunity. Basically, what you need to be doing is taking charge. Remember you are there because you have the capability of doing it. Many people generally tend to fail because they avoid taking responsibility of owning the moment. You will refuse to be such a person. Instead you will take complete responsibility for job search and also for your entire life. You are going to meditate on the fact that it is not up to your mother, father, brother, spouse or any other person that you have managed to be such an able person. No close relative has helped except for you who on your own is going to conquer this job search. This is going to be a big NO-NO in this case. Whether you get the job or you do not completely depend upon the performance of you in that particular time when you are looking for a job. You are not a loser- is the chant you will be telling yourself. Thinking, how I am going to afford the study fees of my children or my sibling sis some thought you must keep out of your mind. Thus, thinking about the future may just spoil your present. Nobody knows what is going to happen-instead your employer also has no idea about it. Then why not just live in the moment and give you best shot in it? Your future will be good if you stay positive now when you are doing a job search. As mentioned above, it is necessary to know how important it is to live in the moment. Imagine if a marketing executive were to continuously think about his terrible past and then enter the office room. The fright and tension of that room may actually remove some wrong answers out of him. If the employer had to ask him what were the biggest goof-ups of your past job? Instead of answering that in a clever manner-may be saying maybe it was my dire need to get the job on time which kept my people always on their toes, he could end up answering of how he made some losses for his company. That is why though your job search gave you an interview, you would have spoiled it because you were too scared to do good in it. That would have happened to the employee because he would have totally fretted about his days in the past of being a total loser before or being a fresher for long or anything. Do not do that. This can be the biggest way in which you can help yourself. No matter how someone else tries to come and calm you or tell you that nobody apart from you is the best for the job, it is not going to help. It is you and only you who can help yourself. Thus, at that time when you find yourself alone, you must try remembering all positive things about yourself. You must try and focus on what good you have done. Try and read upon every good word or praise you would have ever got. Read up on every complimentary thing like some letters of praise or some past awards which may make you feel happy. You can also think about some performance appraisals, you would have received or a clap of hands on any positive recognitions about your job. This will help you be more active in your job search. These are thus, some good ways to tell yourself that you are worth sitting in the interview room and you are filled with talents and skills. Try stretching your arms and doing some basic exercise every day before you start with your schedule. Consume a well-balanced diet on all days. Do not remain awake for long; instead sleep very well and remain energetic for the next day. Be in talks with some people who you know for sure are going to boost your morale. Keep away from company who will lower your energy down. Listen to positive and fast-beat music. If possible, dance a bit daily and try being happy about the day. Regardless of how tough your job search is going to be or become, it is mandatory that that you maintain a highly positive attitude during this job search. Do things sometimes which will help you to keep your mind off things. For example, keep a blog post where in you can share your views with someone and he or she will also be able to dictate some things to you. Socialize, be happy, go for drinks and have a positive outlook towards life. What you are now will reflect of what you will get in the future. Keep faith if not on your work or your luck but on God that you will get a good job.